Personalize A Shabby Chic Mirror With That Fashionable Old - Gentle Wear And Tear Look - All Made With New Framing Material And A Premium Clear Mirror. Choose Style And Color - We Will Custom Make To Your Size. 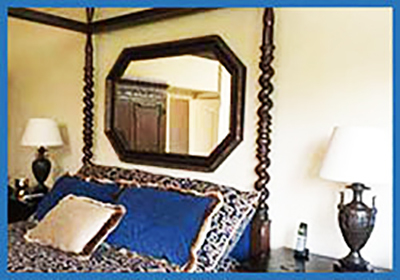 Custom Mirrors With That Reclaimed Look - Old Appearance - New Material - High Quality Premium Clear Mirror. Popular Driftwood And Barn Wood Look. Personalized To Your Size - Choose Frame Width - Style And Color. Create A Custom Mirror With A Distressed Burl Wood Look. These Frames Resemble The Natural Knotty Burled Appearance Of Aged Rugged Hardwood. Choose Frame Color - Style - We Make To Your Size. 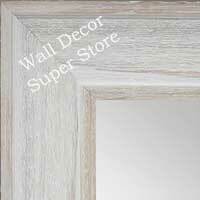 Browse Hundreds Of Distressed Custom Mirror Frames - Shabby Chic, Burl Wood, Reclaimed, Barn Wood, Driftwood And More. All With New Mirror Framing Material And Premium Clear Mirror. Add An Optional Bevel. Create a special shape mirror with any frame style available on our site. Very large and very small special shapes are OK.